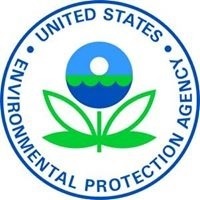 WASHINGTON, D.C. – (RealEstateRama) — BOSTON – A project in Lewiston-Auburn, Maine, was among four projects in New England to repair and upgrade drinking water infrastructure that were recognized for excellence and innovation by the US Environmental Protection Agency (EPA). The project’s two 230-kilowatt biogas cogeneration engines produce an average of 200,000-kilowatt hours a month and have gone as high as 380,000 kilowatt hours in some months. This self-generated power significantly reduces the facility’s energy costs, and the low interest rate financing made this project affordable. The authority turned a problem into a success by converting a biosolid disposal issue into a process that now produces energy for the facility without raising rates. Within the Clean Water State Revolving Fund program, a “Performance and Innovation in the SRF Creating Environmental Success” program celebrates innovation. The projects that were recognized through this program ran the gamut from large wastewater infrastructure projects to small decentralized and agriculture projects.